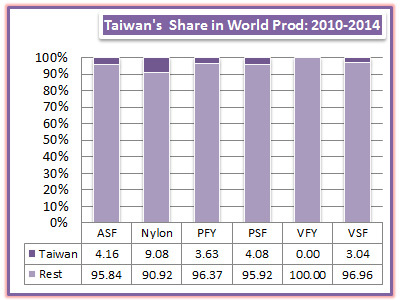 Taiwan Fibre Report 2015, Trends in Fibre Production Taiwan, Filament Apparent Consumption. In 2014, Taiwan was placed third among manmade fibre/filament producers only next to China and India. It accounted for 3.3% of world manmade fibre produce with production at 2.02 million tons. 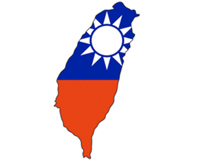 Taiwan is the third largest consumer of nylon, sixth in polyester filament and eighth largest viscose staple and 12th largest in polyester staple fibre.